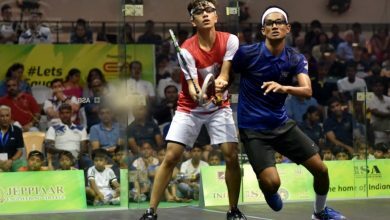 Saurav Ghosal ensured surprise home interest in the second round of the Punj Lloyd PSA Masters in India after upsetting higher-ranked US champion Julian Illingworth in today’s first round of the ninth and final PSA World Series squash event of the year at the Siri Fort Complex in New Delhi. The Kolkata-born 25-year-old arrived in the Indian capital direct from Chennai where he endorsed his status as the country’s number one player by winning the Indian national title for the sixth year in a row. 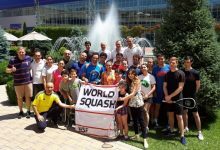 Currently ranked 29 in the world, Ghosal went into his match against world No28 Illingworth with a 1/0 lead in previous Tour meetings – albeit more than four years ago, when both were ranked outside the top 40. 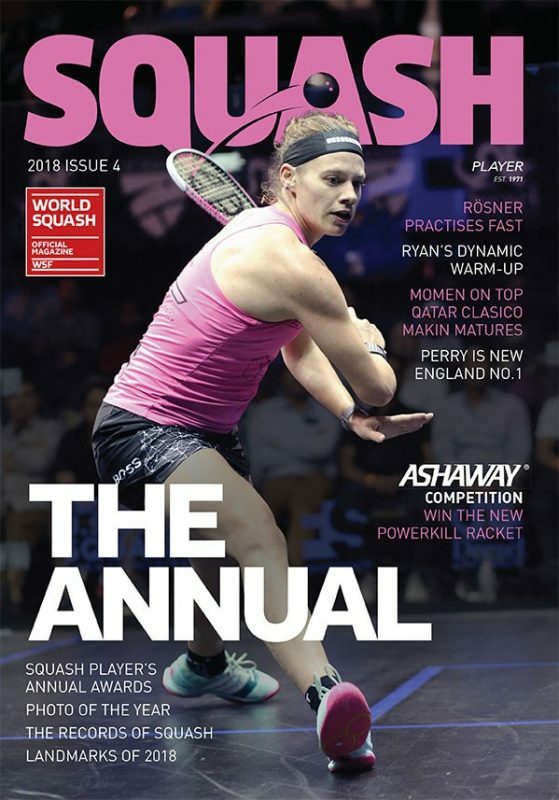 And spurred on by local fans, Ghosal survived a close first game before overwhelming the record seven-time US champion Illingworth 12-10, 11-4, 11-2 in 42 minutes to claim his first appearance in the last 16 of a PSA World Series event this year. Based in the UK city of Leeds, Ghosal later saw his town-mate James Willstrop secure his place in the second round. But England’s new world No2 – who could become the world number one by winning the $165,000 Delhi event – found himself a game down against Nicolas Mueller before going on to beat the rising Swiss star 8-11, 11-7, 11-5, 11-5 in 45 minutes. 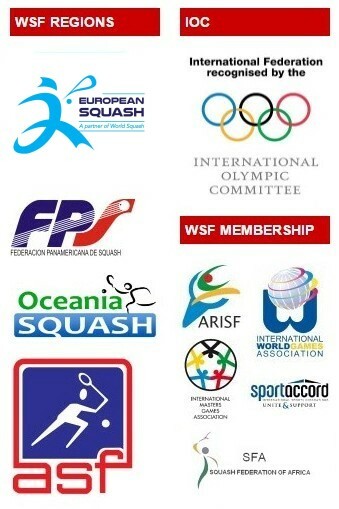 A further pair of Englishmen made it through to round two – after straight games successes. Seventh seed Daryl Selby, the world No16 from Essex, held off a stiff challenge from Mohammed Abbas, beating the former world No13 from Egypt 11-4, 11-7, 11-9. “Got a 3-0 win in today – but happy because Abbas is a very talented player,” tweeted Selby after his win. Peter Barker, the fifth seed from London, edged closer towards recording his ninth successive World Series quarter-final appearance this year when he beat Finland’s Olli Tuominen 11-4, 11-4, 11-1 in just 25 minutes. 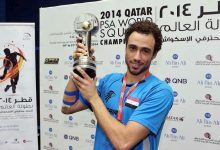 Top seed Ramy Ashour, the former world number one from Egypt who is making his return to the PSA World Tour after sustaining a hamstring injury in last month’s World Open, needed four games to overcome Malaysian Mohd Nafiizwan Adnan. 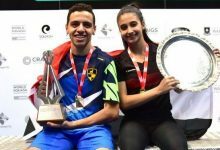 The 24-year-old from Cairo, who already has three 2011 World Series titles to his credit, battled back from a game down to beat Adnan, ranked more than 30 places lower, 9-11, 11-3, 11-4, 11-9. 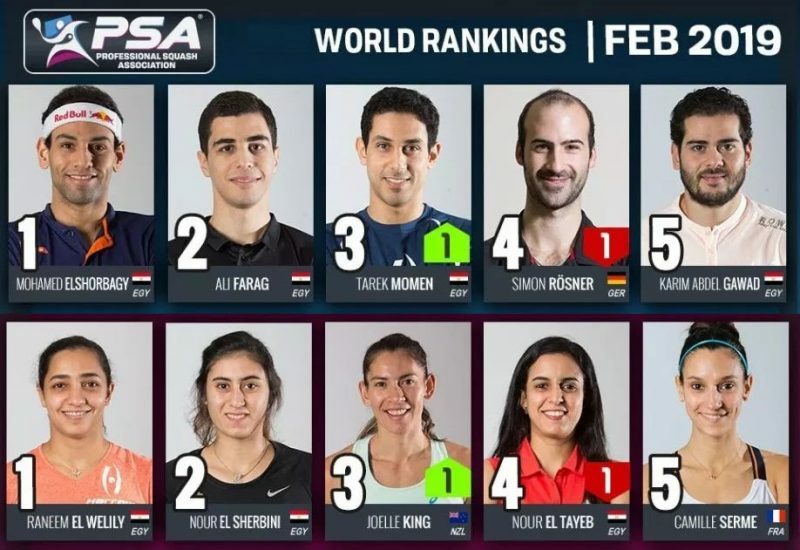 England’s Tom Richards caused the first notable upset in the Punj Lloyd PSA Masters in India when he defeated Egypt’s world No13 Hisham Mohamed Ashour in today’s first round of the ninth and final PSA World Series squash event of the year at the Siri Fort Complex in New Delhi. Currently at 12th place in the 2011 PSA World Series Standings after a disappointing first round exit in last month’sKuwait PSA Cup, Richards pulled out all the stops in his bid to make an appearance in next month’s ATCO World Series Finals, the event which will feature the top eight in the final World Series Standings of the year. Richards battled hard to secure his career-first straight games victory over Ashour, ranked eight places higher, winning 14-12, 12-10, 11-6 in 35 minutes to secure a place in the second round. The 25-year-old from Surrey will now meet another Egyptian for a place in the quarter-finals. But Karim Darwish is the event’s second seed – and the world No5 recorded today’s quickest win in despatching Australian Ryan Cuskelly 12-10, 11-5, 11-4 in 32 minutes. But shortly after the Richards win, there was disappointment in the English camp when former world No9 Adrian Grantcrashed out of the event at the first hurdle. It was the latest success in Spaniard Borja Golan‘s comeback trail after a major knee injury. 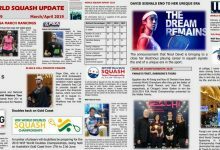 Golan, currently ranked 25 in the world, survived a close first game, then maintained the upper hand against London left-hander Grant, ranked six places higher, before closing out the match 12-10, 11-6, 11-4 in 51 minutes. The Spaniard will face another of the day’s successful Egyptians in Wednesday’s second round. Mohamed El Shorbagy, the sixth seed from Alexandria, needed exactly an hour to quash South African Stephen Coppinger 11-7, 13-15, 11-6, 11-5. 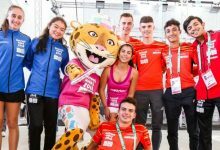 Laurens Jan Anjema and Mohd Azlan Iskandar are two players with a keen eye on next month’s ATCO World Series Finals – and both secured straight games wins at the 2010 Commonwealth Games squash venue to strengthen their chances. 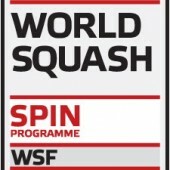 Anjema became the event’s No8 seed on last week’s withdrawal of defending champion Nick Matthew, the world No1 from England. The Dutchman, currently in ninth place in the standings, dismissed Egypt’s Mohd Ali Anwar Reda 11-7, 11-6, 11-9 in 45 minutes. But Iskandar is the player most in Anjema’s sights: The Malaysian needs to consolidate his eighth place in the latest list – and made the best start by overcoming fellow countryman Ong Beng Hee 11-6, 11-9, 11-8 in 61 minutes. 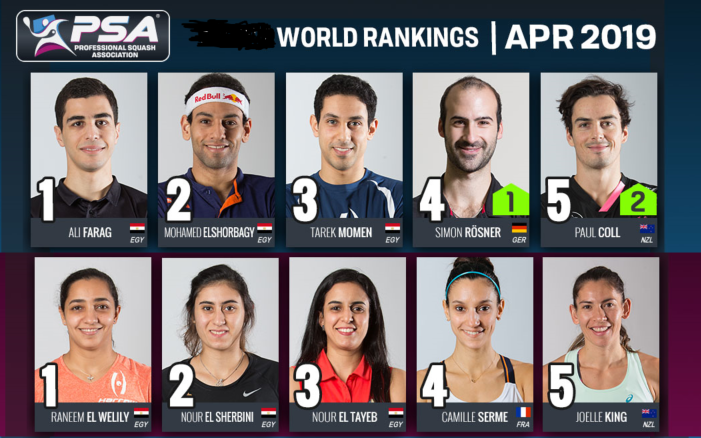 Iskandar will now face Gregory Gaultier, the No4 seed from France who beat Indian wild card Siddharth Suchde – while Anjema lines up against lower-ranked Egyptian Omar Mosaad, the world No15 from Cairo who defeated England’s Chris Ryder 8-11, 11-3, 11-7, 11-9.